So you want to enable reply option on your Facebook profile comments. With this trick you will be able to reply to people on the post that you've posted on your Timeline. A few days earlier I wrote a post on How to use only First Name in Facebook. 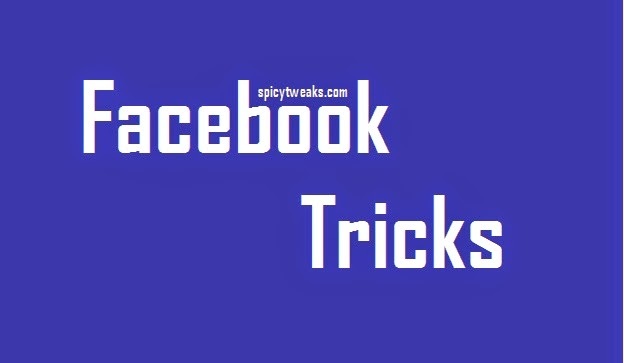 Their are many Facebook tricks that you might not know. You were familiar that Facebook Pages comes with an option to enable replying on comments. But it is not possible to enable replying of comments on general profile. So, if Facebook don't allow reply option on Profile than why are we talking about this. If you're looking for a official way to get reply option than this post isn't for you. Their is a trick to enable this on our profile and without the use of nay third party or any scripts. If you have read my post on How to use only First Name in Facebook than you were familiar that Facebook allows Indonesians to use only First Name. This trick is also like the previous one but the country is different. Actually, Facebook allows New Zealand users to have a reply option on their post. And like the Indonesian trick, you will have to make the Facebook believe that you are now on the country of New Zealand. After that everything will be easy. If you're getting difficulty doing it yourself than follow the following steps to enable reply option on your Facebook Profile posts. After downloading and installing the above extensions on your Google Chrome browser follow the steps shown below to enable reply option on your Profile. After installing both extension click on the Manual Geo-Location icon located in the top roght corner near the Chrome Menu. See the image given below. 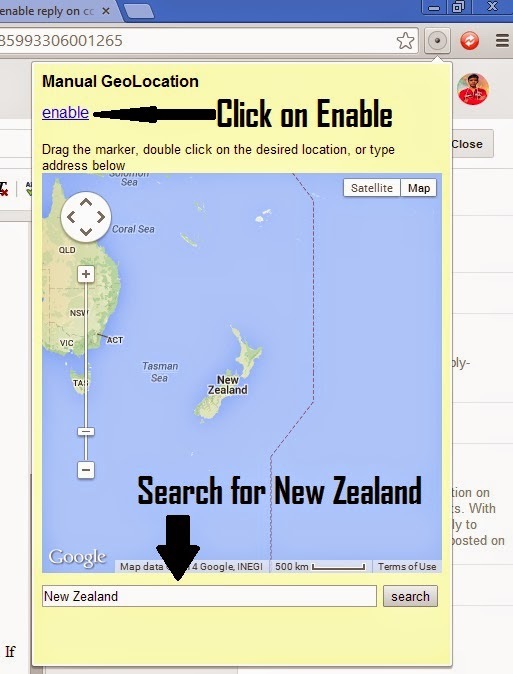 After clicking on the icon, click on Enable link and than search for New Zealand in the location field. If you didn't understand than see the image given below. 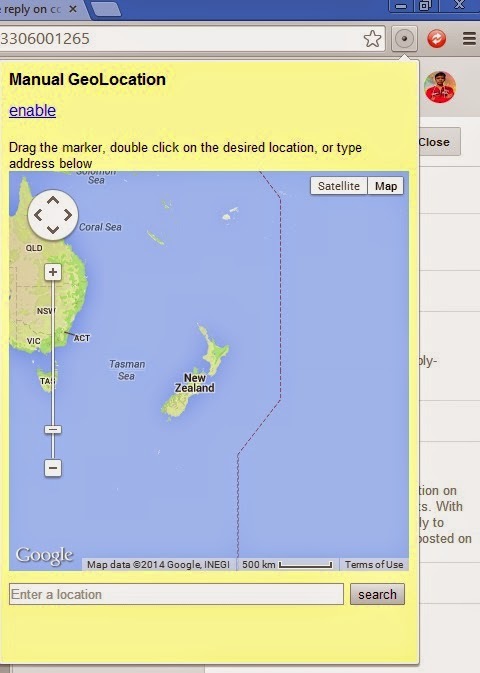 Now we have finished setting up the Manual Geo-Location extension. Now we have to prepare Ultimate User Agent Switcher. Just follow these simple steps to setup this extension prepare your browser to make Facebook believe that you're from New Zealand. 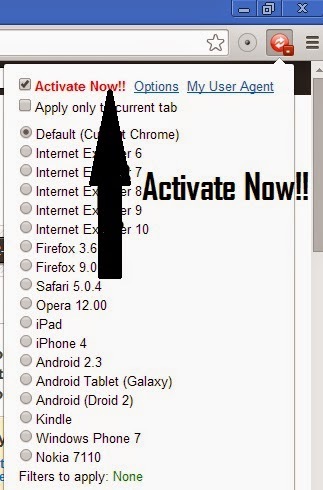 Just click on the Ultimate User Agent Switcher icon and than click on the Red Activate Now link. See the preview below. Yeah! We have setup everything. Now go to touch version of Facebook. The link to the touch version of Facebook is http://touch.facebook.com. After going to the touch version of Facebook click on check in and now you will see that all the places belongs to New Zealand. Just choose any location that appears to be belonging to New Zealand the most. You can set the privacy to only me. After that click on the blue post button located on the top right corner. You have now almost finished setting up reply option on Facebook profile post comments. Now go to the the desktop version of Facebook and than go to your Facebook profile. Now post anything and try commenting yourself to check the reply option. See the screenshot below. If you've followed each step carefully than you will see the reply button on your post on Facebook Profile. If you're getting any difficulty than feel free to drop a comment below. That's All for today. I hope you liked this cool Facebook trick. Keep visiting regularly for more Spicy Tweaks and Tricks.